Should I have a Pre-Home Inspection? We suggest to all sellers to have a pre-home inspection to avoid any costly surprises. The inspection report is an excellent marketing tool that provides buyer confidence in purchasing a home. 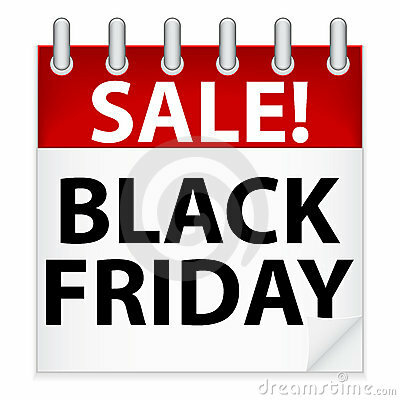 Black Friday "Sales" on Real Estate! This week is all about spending time with family, counting your blessings, and eating a great meal. However, as the clock strikes twelve on Thursday night it is every man for himself! I'm inspired by the excitement also, but just wanted to take a quick moment to give you another option. I love a bargain and the hunt...so if you are ready to buy a new home, give me a call. I promise you will not have to wake up early, stay up late or wait inline, most likely you want have to pay full price, you can ask for the seller to help pay for closing cost and interest rates currently Rock! Oh, and Sellers don't feel like I'm leaving you out. Why wait until spring to sell your home? Buyers looking at homes this time of year are serious Buyers. Let's discuss how to get your home "market ready" so you can start your New Year in the home of your dreams. Let me know if you want to experience Black Friday "Sales" on Real Estate. We will be opened for business! Are you hungry on Thanksgiving? Thanksgiving-a wonderful time for family, friends, food, fun and fellowship, but unfortunately that is not true for everyone. There are many who live right here in our own town that struggle daily to put ONE meal on the table. 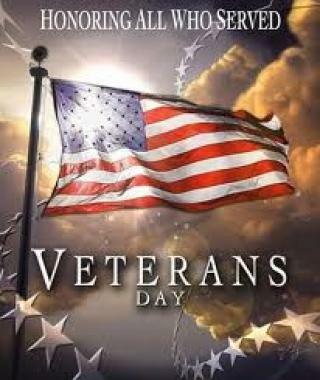 During this Thanksgiving, please take time to pause and remember them or preferably go out and serve them. The Durham Rescue Mission offers a Thanksgiving meal to hundreds of people to enjoy on Thanksgiving Day. You can do so much to help this cause by giving your monetary donation or volunteering to serve (volunteers are always welcomed). I can assure you those you do serve will be thankful and you will receive an unforgettable blessing yourself. Should I have a Home Inspection on New Construction? This is a common question because Buyers are typically trying to purchase on a budget. They get excited about buying a new home and get caught up in the details. When Buyers hear about all the Builder's warranties, they wonder if a third part inspection is really needed. As a Realtor, I highly recommend to inspect any home before you purchase. Brent Willett is one of the Home Inspectors that we recommend. Listen to his point of view and then decide for yourself. Start your weekend off by Honoring all who Serve! This Veteran's Day, we honor those who have so bravely served this country. America is founded on the principle of freedom, justice, and liberty for all. Our nation's soldiers serve every day to protect our country and its ideals. On Veteran's Day, take a sacred moment to remember the those who sacrifice their lives every moment to achieve peace and democracy. Harold Pinter's play, produced by Little Green Pig Theatrical Concern. Tickets $12 T-Th/Su, $15 F-Sa, $10 seniors & military. Common Ground Theatre, 4815B Hillsborough Rd. Enjoy entertainment by local groups, hors d'oeuvres, beverages, cash bar, plus live and silent auctions. Morgan Imports will donate 10% of the proceeds of all purchases to HPSD, and other Peabody Place and Brighleaf Square merchants also contribute prizes to the raffle or a percentage of their party-night proceeds to support Preservation Durham's programs. Morgan Imports, 113 S. Gregson St. The Queen of New Orleans Bounce Music. Admission $12, $10 in advance ($5 for Duke Students via the University Box Office). Special benefit performance for Carolina Spirit Quest, featuring burlesque, belly dance, drag, and live music, from great local performers including Purrlesque, Tiger Roxx, Ms. Trance, Lady I'llphelia, Sera Femme, Persephone, and more -- presented by Sterling Maxwell, the one and only Lady Man. Tickets are a sliding scale from $5-$10. Americana/folk/indie. Followed by Retro Buzzkill (rock/r&b/blues). FREE admission. Works by Bach, Grieg, Crumb and Messiaen. Chapel Hill resident Greg McCallum holds a Master's Degree in Piano Performance and Literature from the Eastman School of Music. FREE admission. Admission $1, $9 in advance (with $3 membership).. Learn basic kayak paddling and safety skills in this 4-5 hour class. All equipment is provided. Pre-registration required. Cost $69. West Point on the Eno City Park, 5001 Roxboro St. Featuring only the best in-season, sustainably grown ingredients supplied by local farms. Keynote by world-renowned local food advocate and best-selling author of "This Organic Life", Joan Dye Gussow. A passionate supporter of organic, local food and small, family farms, Joan has spent a lifetime championing the idea that locally-grown food eaten in season makes sense -- economically, ecologically, and gastronomically. Cost $50, $45 CFSA members. Sheraton Imperial Hotel & Convention Center, 4700 Emperor Blvd. Fight crowds at the bar, not the mall! Tickets include unlimited samples with one special sample glass per ticket to taste cask conditioned ales from 20+ NC breweries. Also featuring food trucks, music, massages, as well as an award ceremony for best in show. Tickets $40, $30 in advance. Triangle Brewing Company, 918 Pearl St.
Piedmont blues and old-time jazz. Admission $8. With The Chit Nasty and Toon. Admission $6, with $2 membership. Bluegrass, blues, swing. FREE to patrons. Guest speakers Colonel Edward W. Timmons (Army) and Captian Dennis Young (Navy). Hosted by the Veteran's for Hope Committee. Tickets $23, $12 for veterans. Durham Convention Center, 201 Foster St.
Curtis Gay will deliver a message from the Book of Numbers and the Military's General Orders for Sentries. Baz Cunningham, a local musician and author, will provide a special musical presentation on the piano. Sanctuary United Methodist Church, 2317 Chapel Hill Rd. Held in the Specialty Department. FREE. Whole Foods Market, 621 Broad St.
F-Sa 8pm, Sa 11/12 2pm. The Durham Family Theatre, 215 N. Church St.
A weekend of concerts, competitions, workshops and seminars featuring the biggest names in the collegiate and professional a cappella music world. See website for ticket pricing. Various times. Saturday concert time 7:30pm. Performances: Carolina Theatre, 309 W. Morgan St.
Workshops, lectures, tours and more, relating to local and orgainc food & farming. Keynote speaker Joan Dye Gussow. Registration $295, with discounts for CFSA members, students and early registration. Additional charge for meals. Tickets $20, $10 students with student ID. Durham County Stadium, 2700 N. Duke St.
Two sets, no opener. Tickets $7 plus membership. Casbah, 1007 W Main St. Featuring a live disc jockey, refreshments, sweets, raffles and a gift with purchases above $100. Ann Taylor, 6702 Fayetteville Rd. Brewery tours of Fullsteam, Triangle, and Bull City Burger and Brewery. Must be 21+. Tickets $40-$45. Puccini: "Crisantemi" For String Quartet; Hugo Wolf: "Italian Serenade" For String Quartet Verdi: String Quartet In E Minor; Respighi: "Il Tramonto" For String Quartet And Mezzo Soprano (With Mezzo-Soprano Krista River); Engelbert Humperdink: String Quartet In C Major. Tickets $20, $5 Duke students. The author will lecture on "Shortages During the Confederacy." FREE admission, but donations gratefully accepted. Bennett Place State Historic Site, 4409 Bennett Memorial Rd. Acoustic/rock/funk. Followed by Ayr Mountaineers. FREE admission. Decorate your home for the holidays and find fabulous gifts for friends, including ornaments, gourd bird houses, jewelry, stationery, knitted goods and nature-focused gifts. All proceeds support Duke Gardens. FREE admission. Parking free until 1pm. Durham's tobacco heritage is explored through the stories and experiences of Durham residents. Tour takes about 45 minutes to complete. Bring bottled water. FREE. Farmer's Market, 501 Foster St.
Fall into the Harvest Season at the Museum with a variety of hands on activities and meet local experts who will share information on agritourism, folkways, sustainable farming and green living. FREE with Museum admission. Museum of Life and Science, 433 W Murray Ave. Animals spend much of their time foraging and collecting food. Work with staff to complete a scientific experiment on animal foraging. In the first class we will set up the experiment; the second class (Nov. 19) will focus on results and conclusions. For children ages 10-12; adults are welcome to stay. Cost $12; $10 Gardens members. Learn about the lives of black bears in North Carolina as you hike through the forest. FREE. West Point on the Eno City Park, 5101 N. Roxboro Rd. Talk and reading by Mani Rao, author of a new, critically-acclaimed translation of the Gita. Cost $20, includes signed copy of the new book. Patanjali's Place, 700 Foster St.
BBQ Heaven, 902 Fayetteville St. Featuring 2 time Emmy Award winning poet Bluz. Tickets $10. Spartacus Restaurant, 4139 Durham-Chapel Hill Blvd. More than 200 pieces have been donated by congregation members. wine and cheese reception. Cash and checks accepted. Judea Reform Congregation, 1933 W. Cornwallis Rd. The concert will feature the orchestra performing A Vivaldi’s Concerto for two oboes in d minor, RV 535, and J.S. Bach’s Brandenburg Concerto no. 3, Cantata no. 82, and Cantata no. 170. Guest Artists include: Donald Milholin, bass and Mary Gayle Greene, mezzo-soprano. Tickets $20. Parlor Magic show. Tickets are $58 per person, inclusive of tax and gratuity. Mandolin virtuoso Chris Thile of Nickel Creek and the Punch Brothers mixes bluegrass, jazz and classical music with a fresh, cutting-edge sound and youthful attitude. Tickets $30-$38, $5 Duke students. Directed by David Kirkland Garner, the Duke New Music Ensemble [dnme] brings together undergraduate and graduate students in performing music written in the 20th and 21st centuries, as well as new works by Duke student composers. FREE admission. Featuring Andrew Unsworth, one of three full-time organists at the Mormon Tabernacle in Salt Lake City. FREE admission. Duke University Chapel, Science Dr. Learn to make a healthy, scrumptious holiday menu: some traditional favorites with all the health benefits of a living diet. Pre-registration required. Cost $35. Must be at least 14 years old by June 22, 2012, and have spent at least five years training in tap, jazz and ballet. Dancers selected for the summer program will train with Rockettes and a Rockettes director/choreographer. Rocketter performer auditions take place in the spring in NYC. Legacy Studios, 608 N. Duke St. The Pie Pushers will show you how to make their amazing pizza from scratch, and you will also get a chance to bake in the actual Pie Pushers wagon. Cost $40. The Cookery, 1101 W Chapel Hill St.
Local singers, pianists and string players will perform Yiddish favorites to benefit Urban Ministries of Durham. Tickets $20, $15 in advance. Beth-El Conservative & Orthodox Synagogue, 1004 Watts St.
Rosenzweig Gallery - Judea Reform Congregation, 1933 W. Cornwallis Rd. Learn more about an inspirational life of human rights activism, and help celebrate her 101st birthday. FREE admission. John Hope Franklin Center, 2204 Erwin Rd. A marvelous model train display, featuring a snowy scene of mountains, bridges and tunnels. Bells ring and whistles blow as trains chug along the Blue Ridge Parkway and journey to popular North Carolina landmarks such as Kitty Hawk, the State Capitol Building and Jennette’s Pier. Tickets $5, plus general admission. Museum of Life and Science, 433 W. Murray Ave. The photographs reveal and illuminate the variety of creative and courageous ways that African Americans resisted, redefined and accommodated in an America that needed but rarely accepted its black citizens. FREE admission. NCCU Art Museum, 1801 Fayetteville St. The world-famous Radio City Rockettes® bring their legendary eye-high kicks and a cast and crew of over 100. Adults will love the precision of the Rockettes in numbers such as Parade of the Wooden Soldiers and Christmas in New York. Children will love Multiplying Santa’s and the elves in Santa’s Workshop. Everyone will be inspired by the stunning reenactment of the very first Christmas in The Living Nativity. Tickets $19 and up.